Meet the Proto-X with the all-new white body. Not only is it the world’s smallest quadcopter, it’s also one of the world’s lightest! 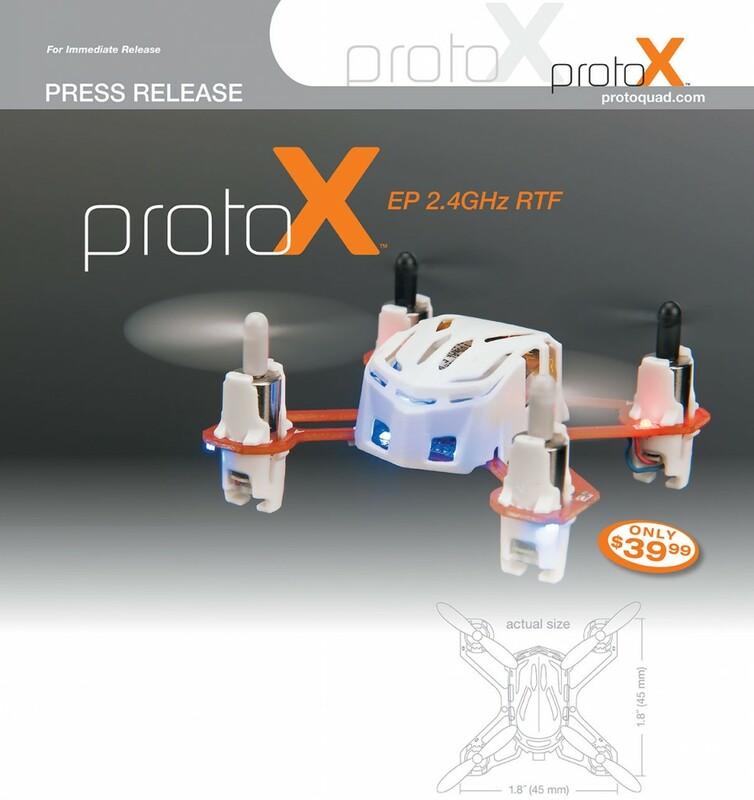 The 1.8″ x 1.8″ Proto-X is tiny; ideal for indoor flying – and it weighs only four-tenths of an ounce. Bright, built-in LEDs make it easy to see the Proto-X in low-light conditions. A 2.4GHZ radio not only allows for interference-free flight – it makes it easy for multiple Proto-X helis to fly at once. A 3.7V 100mAh LiPo battery, USB charge cord and spare rotor blades are also included in the ready-to-fly package. All you need to add are two “AAA” batteries! Next The Quadcopter Dentist… What?? ?